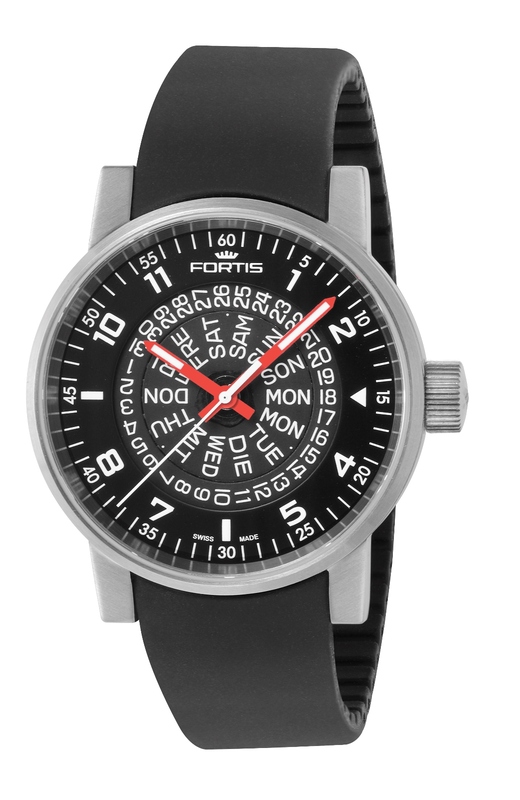 Spacematic watches by Fortis first appeared in the 1960s as a tribute to the emergence of manned space travel, which began in 1961 when the Russians launched Vostok 1 carrying astronaut Yuri Gagarin. Less than a month later, American Alan Shepard made a suborbital flight in the Mercury-Redstone 3. Astronauts in the U.S. Space Program took notice of the Spacematic and chose to use it during training in the early ’60s. Spacematic watches were reliable and sturdy, and quickly became associated with space travel and the risks and rigors of astronaut life. Modern Spacematic watches, being displayed at Couture Las Vegas, still stand out for their utilitarian construction – an appealing mix of legibility, durability and functional design. 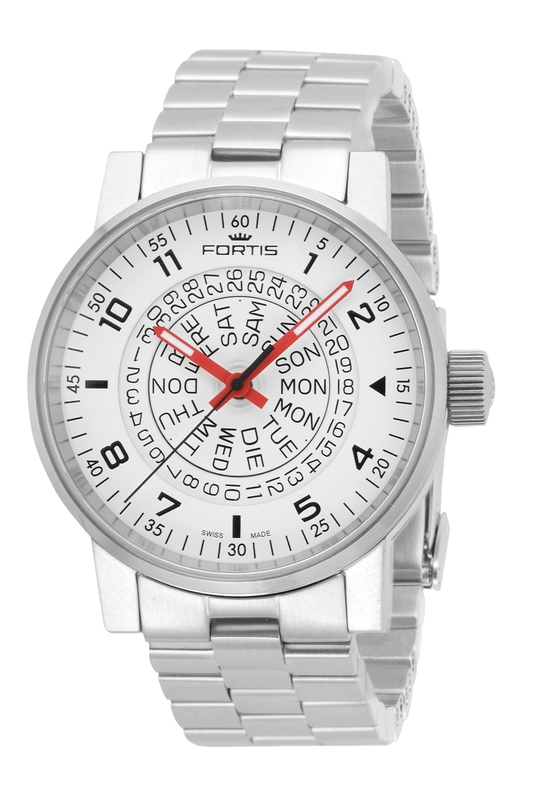 The Fortis Spacematic models pictured share a lot in common with other recent versions of the watch with one distinctive modification – the center of the dial is completely open, exposing the entire date and day wheels; both turn clockwise when they advance and align for reading at the 3 o’clock position. The bilingual day wheel – characteristic of the ETA 2836-2 movement inside – offers the choice of English or German display: English for its international appeal and German for its significance in the Fortis collection, which includes German-inspired pilot watches like the Flieger Automatic Chronograph. 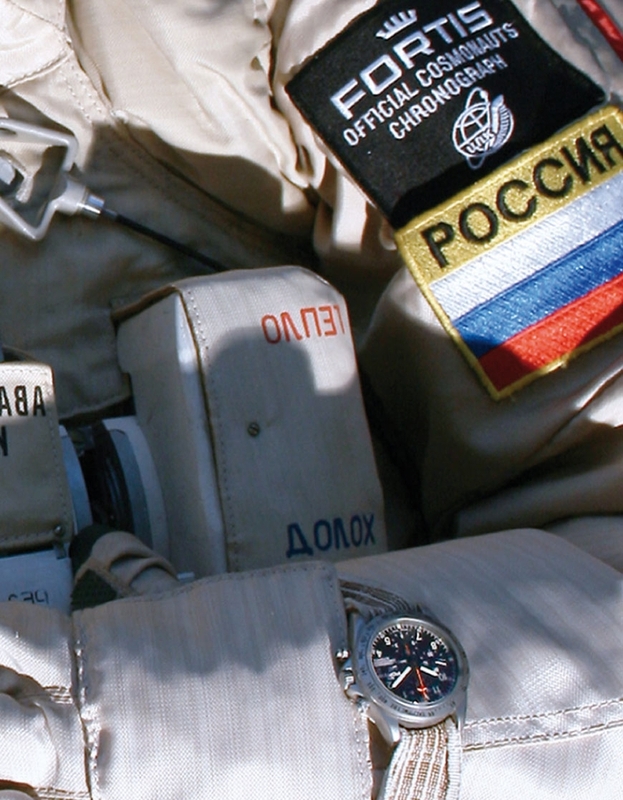 Dial contrast also plays an essential role in the Spacematic’s exceptional overall readability. 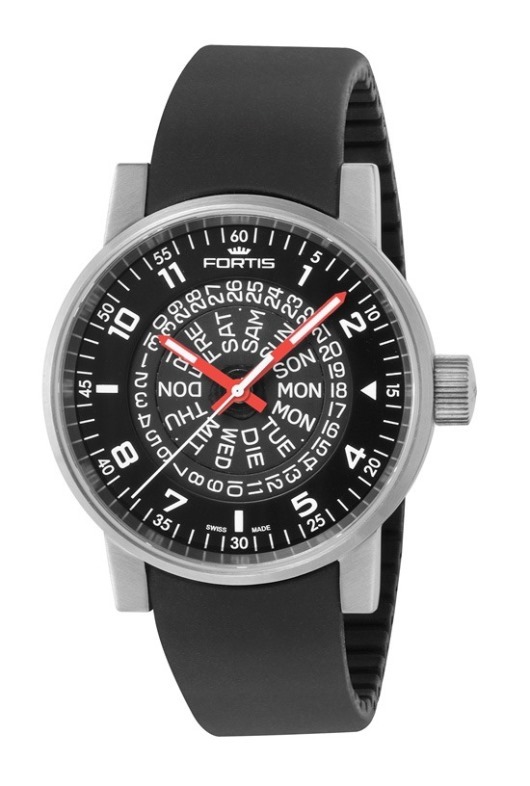 Fortis offers two dial variations: black with white numerals, indices and seconds hand, or white with black numerals, indices and seconds hand. The red hour and minute hands on both models are easy to distinguish at a glance; both are filled with Super-LumiNova for good nighttime legibility. The two-part, 40 mm brushed stainless steel case echoes the watch’s straightforward and orderly style. 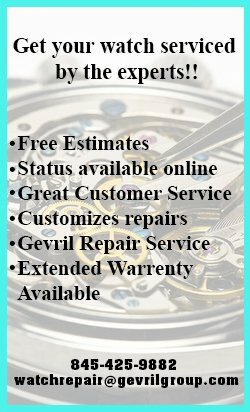 It is fitted with a sapphire crystal on the front and a screw-down steel caseback, which together support water resistance to 330 feet. The large knurled crown, initialed with the Fortis logo, is easy to grip to adjust the time, day and date. Fortis Spacematic owners benefit from having the choice of several OEM straps to choose from including silicone in black, white or gray; a textile strap in black, olive or sand, or; a black leather strap. In addition, the Spacematic is available on a stainless steel bracelet with folding clasp. 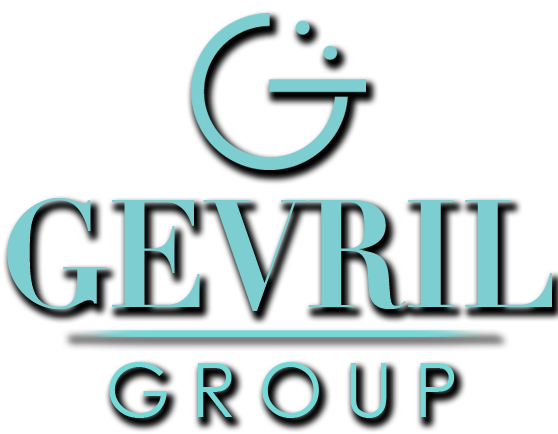 Looking for a rugged and versatile watch worthy of daily wear? Try this rocketeers’ favorite and look no further.